This is the appeal by Lim Guan Eng to Sibu voters. “All BN needs is four more seats to get their desired two-third majority." This is very dangerous. The target is getting nearer, and the way things go with frogs and running dogs, it may happen!!!!! Consider the serious repercussions if BN has the two-third majority. The first thing they will do is to go after the electoral delineation. Electoral boundaries can easily be manipulated to favour them. That will be the end of our hope for an alternative government. Please, voters of Sibu; show us the way!! How can you stop it when money calls the shot. Take the money and vote Pakatan!! Of course if BN regain two third majority in Parliament, then re-alienation of constituency will get to proceed again without any challenge from opposition, this time ,UMNO will make it harder to win seat by PR candidate, then make the new dawn era in Malaysia impossible. If PR want to prevent umno from gaining ground again and reach the absolute majority of 'magic' number of two third seats in the parliament, then it should fulfill its own pledge to help the ordinary Malaysians regardless of race , religion, gender and age during their election campaign, failure to do that will only allow them to govern for one term in four states and reduce their parliamentarian seat further in the next election. We Malaysians are waiting for LGE to fulfill his promises instead of another political slogan. 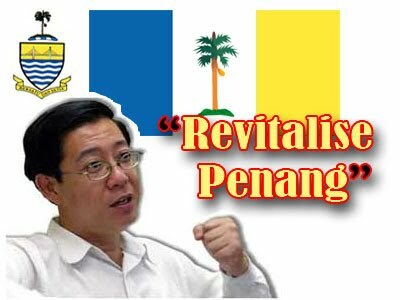 I am sure LGE is doing his best to better our status as ordinary citizens. I also hope he will continue to defend our rights as ordinary Malaysians living in a racist control majority government rule country, since he is the chief minister of a tiny Penang state, he has more authority than the rest of us; he can exercise his office to prevent our rights from stolen under our very noses by the racist coalition ruling elites. So far he is not given out yet like some of his comrades in DAP.